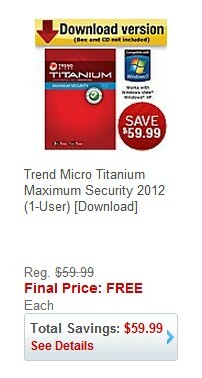 Purchase this downloadable version of Trend Micro Titanium Maximum Security 2012 by 8/18 for free. Don't forget to go through an online portal such as my favorite Ultimate Rewards and use a credit card like the Ink Bold. This is an easy rebate, meaning that you can submit it easily online and receive your rebate in the form of a prepaid Visa, Check or Staples Gift Card within 4-6 weeks. You must submit your request within 60 days of purchase and may purchase up to 10. The rebate offer number is 12-14521, so make sure that you haven't purchase this rebate offer before. 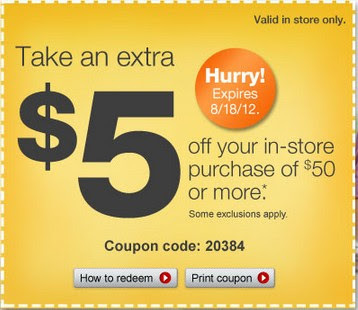 This $5 Off $50 order is valid in-store only and expires 8/18/2012. So, hurry to Staples now! Limit 1 per household and in-store only. 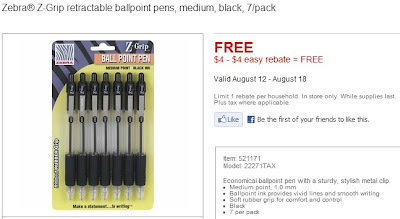 Through August 18, Limit 1 rebate per household.